Custom Woodworking - Bespoke Furniture - Interior Planning and Decorating Woodworkers and designers for over thirty years, we find innovative and artful solutions purpose - built for your needs. We are truly custom and work in an organic process directly with the client. No one else will have what we create for you; from millwork to installation and throughout the decorating process, your project will be unique. When necessary we put together a team of individuals to execute your project. 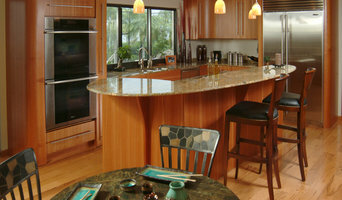 With natural resources and a sense of vision, we at Beach Cabinets can create a warm and welcoming environment for you. 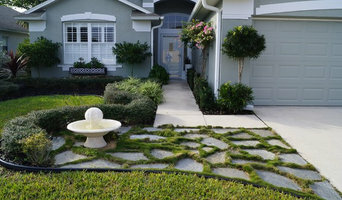 At Tropic Greenery, the art of Landscape design is one of the passions of our lives. We’ve lived it and breathed it for two generations and are now teaching it to a third. After over thirty years designing and maintaining landscape we have developed a unique and comprehensive philosophy. 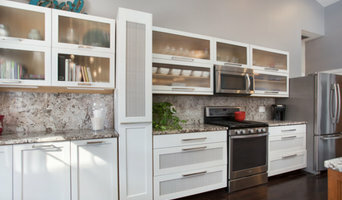 Remodeling a kitchen or bathroom can be overwhelming for any homeowner. It is a financial, emotional, and physical investment. It is not a "do-it-yourself" project. Unlike bedroom, family room, or living room remodeling projects, deciding to remodel a kitchen or bathroom involves much more preparation. Selecting the design (trends are constantly changing), choosing the colors and materials, reconstructing plumbing and electrical configurations, is very daunting; you need a professional. For most homeowners, the kitchen and bathrooms are the most essential rooms in the home so designing them to be functional as well as aesthetically appealing requires highly-specialized skills and knowledge. You want these spaces to be comfortable and inviting while reflecting your personality and lifestyle. Please view the photos of the projects I've completed for homeowners just like you! Nancy Dyer’s roots are deep in Brevard County, having grown up in Satellite Beach and attending school there. Graduating from Florida State University in 1977 with a B.S. degree in Fashion Merchandising and Marketing. She then owned a very popular home accessory and gift-shop called Cachet for over 10 years. She now works as an interior decorator in her own business, Nancy Dyer Designs. She has been working with clients all over Brevard County, specializing in homes in the Space Coast/South Beach Area including -Suntree, Viera, Indian Harbour, Cocoa Beach, Lansing Island, Tortoise Island, Melbourne Beach and Indialantic. Nancy in her spare time has been active with Candlelighters for almost 20 years, volunteering for many of their various fundraisers and serving on the Board of Directors since 2000. Nancy has a passion for interior decorating which shows up in her work. She is enthusiastic about her jobs, big or small, and works hard creating her client’s dream home project. Full service Kitchen and Bath design and construction. Hofmann Images, LLC specializes in photography services for real estate agents, architects, builders, and interior designers -- residential and commercial projects. North Brevard's Versatile Kitchen & Bath Fixtures | 36 + Years! Custom stained glass suited to your taste and matching architectural styles. A member of the Home Builders & Contractors Association of Brevard (Space Coast) and NAHB... Preston Studios created the grand entrance for the 2011 TNAH and shows in 2018 TNAR that stained glass is appropriate, too, for master bedrooms. Operating since 2004, AD&D has provided design expertise on over 700 residential projects. We combine our clients’ wants and needs with our ideas, experience, and expertise to create amazing home designs that fit our clients’ lifestyle. Whether it is a difficult roof line, stairs, or floor plan, we have the expertise to solve them all in an aesthetically attractive manner. We provide accurate, presentation quality construction plans with attention to detail. We also provide due diligence on every project. Research is a vital part of any project we undertake. We research local zoning regulations, ordinances, and building codes prior to design; ensuring that what we design can be built. No matter how big or how small your residential project is, we can help you make it amazing. Construction plans govern how you will spend hundreds, thousands, and possibly even millions of dollars. Expert design and creativity are worth the investment. Contact us today! We look forward to meeting you! Hippo Roofing was started to offer a better roofing solution to homeowners. Our roofing systems are beautiful, permanent, energy efficient, and hurricane tough. Best of all, they virtually pay for themselves. Unsecured financing is available in less than 10 minutes with no money down, low interest, no proof of income, and no prepayment penalty. Give us a call today and we would be happy to provide you with a free estimate. Always Open Garage Doors, Inc.
Unite Design Co is a Community focused design studio offering clients stylish & practical solutions for home or place of business. Jessica Neal, owner, trained at Pratt Institute in Brooklyn, NY & went on to work for top International firms and clients. Projects include: Disney Cruise Lines, JFK Airport Terminal 5, STK Steakhouse, private residences in Newport RI, Orlando FL, New York City & Long Island, among others. I have been truly blessed to be able to have the opportunity to do work that I love and am passionate about for the past 18 years. I had the amazing experience of being invited to be featured on the groundbreaking TV show "Interior Motives" starring Christopher Lowell in July 1998 on the Discovery Channel. This led to my career in Model Home Interior Merchandising and the thrill of traveling Nationwide for several New Home Builders and designing over 250 Model Homes. I have two amazingly creative son's who have worked with me on these projects assisting me in installations. I love meeting new clients and hearing what their needs and desires are and using these as my creative INSPIRATION to help them achieve their goals. Reach out to multiple professionals — especially for larger projects — and don't settle for the first bid you hear. Comparing multiple Indian Harbour Beach, FL professionals' bids and experiences can help you find the one that’s best for you. Ask a lot of questions now, so you won't have unexpected answers later. Find a home design professional on Houzz. Narrow down your search by type of professional and location. Browse Indian Harbour Beach, FL portfolio photos, read client reviews and contact each Indian Harbour Beach, FL professional for more information. Check out the information in the specialized professional sections too for tips on how to hire the right professional for your project.